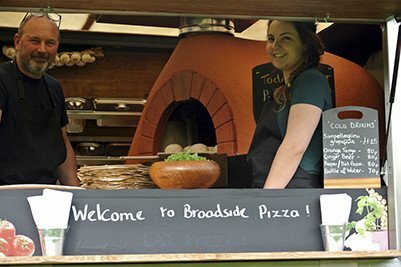 Broadside Pizza brings quality street food to East Anglia using our fully mobile wood fired pizza van in Norfolk and most areas of Suffolk. We make quality, fresh pizza. Stone baking in our Italian wood-fired oven gives them their unique, delicious flavour. We know you’ll love our pizza as much as we do. But don’t just take our word for it – come and try one for yourself! You’ll find us visiting all over the Norfolk and some Suffolk areas, or if you’d prefer to keep us all to yourselves, we’re available for private hire. Wow your guests with something a bit different. 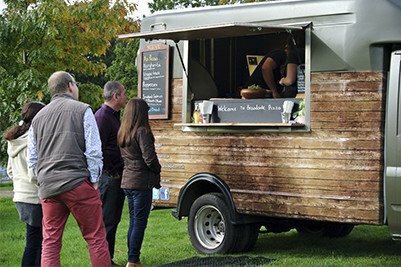 Broadside Pizza will bring our pizza van and cook fresh hot and tasty wood-fired pizza at your event, party or wedding reception. It’s flexible, fun and fast. And who doesn’t love pizza?! We can cater for most dietary needs and just need to know in advance so we have the right ingredients to hand. 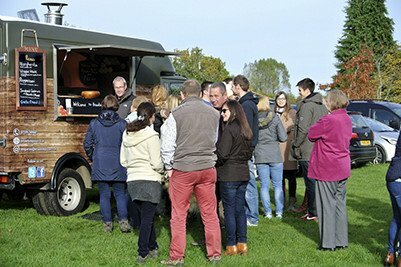 Using a wood-fired pizza van in Norfolk and most Suffolk areas means we are mobile and able to attend your event and deliver a unique experience. Call us on 07595 584 687 or email us for more information. 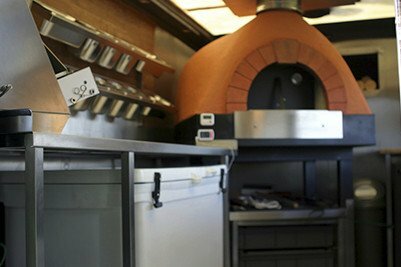 The best wood-fired pizza van in East Anglia!